Dr. Hardacre joined Indian Creek Health Center in 2008. She received her undergraduate degree from the University of Dayton in Dayton, OH. She then earned her medical degree from the Ohio State University College of Medicine, graduating in 2004. 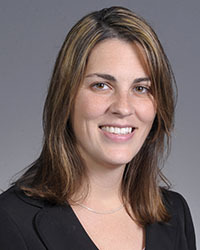 Dr. Hardacre completed her family medicine residency training in 2008 at Miami Valley Hospital Family Residency Program in Dayton, OH, where she was chief resident during her final year. Dr. Hardacre is board certified in Family Medicine and is a member of the American Academy of Family Physicians. Dr. Hardacre enjoys all aspects of family medicine, with a particular interest in women's and childrens' health and preventative medicine. She is a native of the Dayton area, keeping busy outside of work with her husband and three children.